By 2018, Holland’s rail network will run entirely on renewable energy. 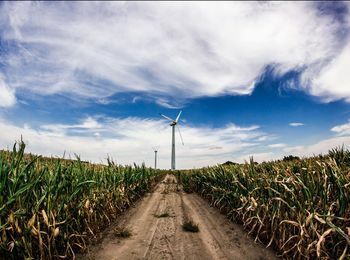 The country’s existing wind farms already supply almost half of the network’s traction power. Investment in new farms will ratchet this up to the full 1.4 TWh of electricity needed to transport Dutch commuters each year. Following the landmark COP21 agreement to reduce carbon emissions, Steve Hughes, managing director of REO UK explores why rail providers need to be prepared for the inevitable shift to renewable energy and to manage potential power quality issues that may arise. World leaders took action at the end of 2015 with the United Nations climate conference of parties (COP) reaching a landmark agreement to limit the rise of global temperatures to less than two degrees Celsius. Nearly 200 countries committed to upholding this agreement, which will naturally mean a concerted, international push to move away from fossil fuels and to use renewable energy instead. A recent report from infrastructure consultancy WSP outlines how Network Rail could utilise solar energy to help the UK meet these environmental goals. The firm suggests that if Network Rail could invite investors to fund trackside solar arrays it could cut carbon emissions by 895,000 tonnes a year, as well as reducing costs by £150m between 2019 and 2024. This evolution, while great news for the environment, has the potential to create power quality problems for rail providers that can negatively affect the reliability, safety and performance of trains and railways. This is particularly the case as technology and railways begin to operate at higher speeds, both of which are reliant on reliable energy and power. As electrical control systems get more complex, they become responsible for higher currents and frequencies. This can lead to power quality issues such as voltage fluctuations and overheating, as well as inefficiencies that lead to higher energy costs. This is driving demand for current transformers that can provide precise measurement even at these increased levels of operation and regardless of current type. To this end, REO UK has launched a new range of current transformers designed to ensure high power efficiency and quality by offering highly accurate linear current sensing and electricity metering. These transformers come in a selection of power ranges to suit industry sectors including automation, railway engineering and renewable energy. These transformers will become increasingly important as railways navigate the complex introduction of renewable energy sources. Maintaining efficiency with such new systems, which demand the use of highly sophisticated power electronics, is a top priority. REO’s current transformers ensure that energy is delivered reliably and consistently into applications in a precisely controlled manner. REO’s range of current transformers is able to accurately measure currents up to 3000A and frequencies up to 150kHz while providing superior linearity and overcurrent protection. Each series of transformers is designed to deliver reliable power quality catering to a specific industrial sector; for example, the series IE is ideal for use under high currents in the rail sector. To ensure that companies get the best power quality solution, REO UK also offers a bespoke design service to develop application specific transformers. These transformers are designed and manufactured to be used in a specific system, allowing for optimal performance. By taking small measures, such as finding the right transformer, rail providers will be able to lead the charge in reducing our reliance on fossil fuels and transport us into a more environmentally friendly future.